Sure 24 children’s home now accommodates 104 children, aged 3 years and up. Each child has a story to tell of how they have ended up in the home and it is hard not to cry when you are told. The home caters for boys and girls in separate dormitories. It has basic provisions but the friendship and warmth each child receives makes up for the lack of possessions and equipment. It has land too, it’s used for growing crops, raising cattle and supplying lots of outdoor space to play. A few years back a British organization paid money to have a borehole installed on the grounds of the orphanage. 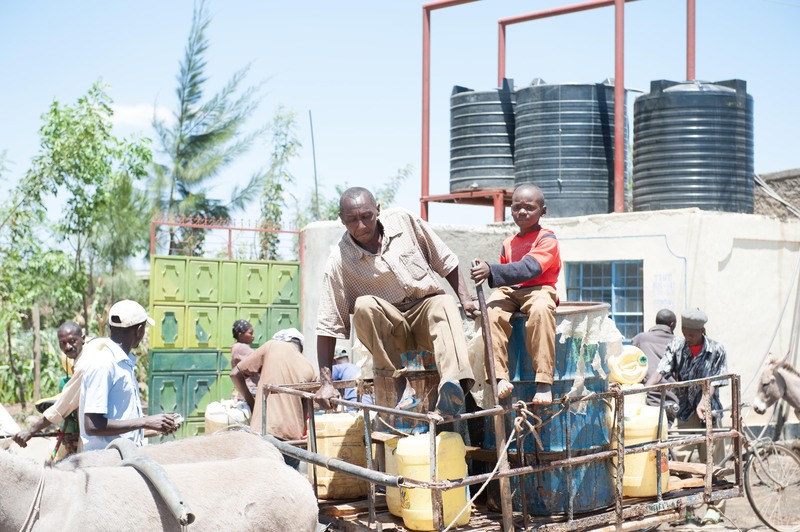 The borehole now serves the whole community. Before villagers would travel up to 7 kilometers to get water. Managed by Sammy and Millie Nawali, the children at Sure 24 affectionately call them ‘mum & dad’ however the children’s home is not the only string to their bow. They also run a 250 pupil strong day school. Taking children through preschool, primary, and junior education. Students are doing so well that they are passing the national tests with results offering them spaces in high school. Now remember these children are either from extremely poor backgrounds or from the orphanage, so, many were expected not to amount to much so these results give Sammy & Millie real assurance that they are making a difference. Many people have visited and imputed into Sure 24, donations, practical support, staff and resources have all contributed to what you can see there today. However Millie explains that they continue to face struggles on a daily basis. Healthcare is a major issue as it is not free in Kenya to get medicine and basic health needs can be missed. Also for children to go onto high school fees are required and that’s often when education has to stop. However they continue to be faithful, relying on God to provide. They are enterprising and have used all means at their disposal to make money to make ends meet. Sammy showed us his latest venture and that was to filter and bottle the water from the borehole. They welcome visitors and volunteers, always smiling and grateful for whatever and whoever comes their way. It was a privilege for me to see with my own eyes the difference Sammy & Millie are making. Their selfless commitment and passion for making a difference and changing lives was beyond inspiring and I would urge anyone who can, to support them.